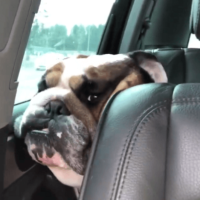 This Adorable Pup Is About To Embark On A Difficult Task And It’s Hilarious! Who doesn’t like a snack? 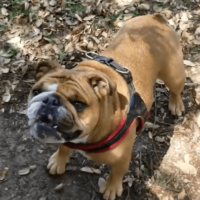 Biscuits are a popular thing to munch on when you are in need of a treat or a snack, and it isn’t just humans that enjoy it – pups like Winston the English Bulldog pup like it too! This Adorable Pup Is Totally Obsessed With His Ball And Doesn’t Want To Share! Some pups naturally are just super protective of their toys, family, and territory! It can be a bit of a problem if this behavior is allowed to go unchecked, unfortunately. But if the pup is properly socialized, then there’s nothing to worry about! 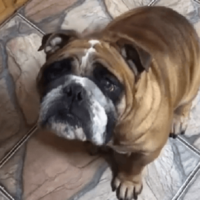 This Adorable Pup Is So Curios He Keeps Checking To See What Mom’s Doing! As much as we wish for it to be a thing, teleportation, alas, has yet to exist. Instead, we still have to move from location to location ourselves, usually via driving! Which isn’t so bad in the grand scheme of things, but it can get pretty boring on those long car rides. 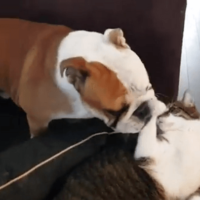 These Adorable Siblings Are Trying Hard To Get To Know Each Other! The rivalry between pups and cats is legendary, perhaps cemented forever in cartoons and all sorts of media. This Adorable Pup Is About To Get A Quick Bath! Let’s Take A Look! Keeping your pup’s coat smooth and shiny is pretty important, no matter how long or short their fur is.